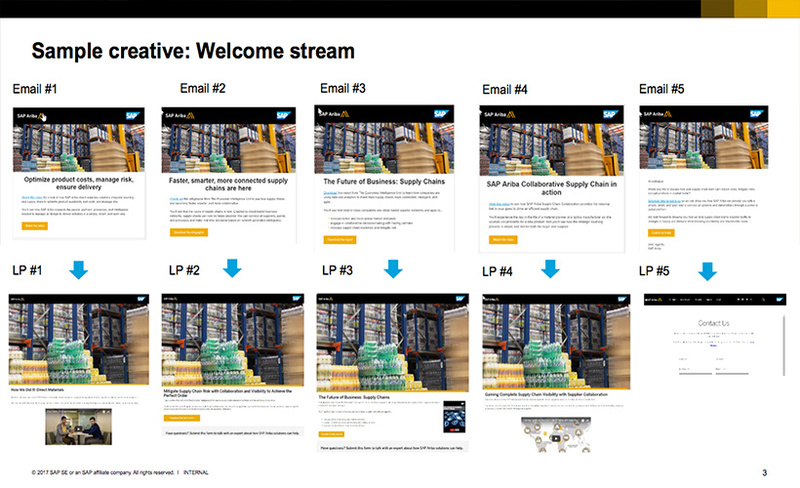 In June 2017, SAP Ariba launched a complete lifecycle nurture program for each of its targeted personas: Procurement, Supply Chain, Finance and IT. 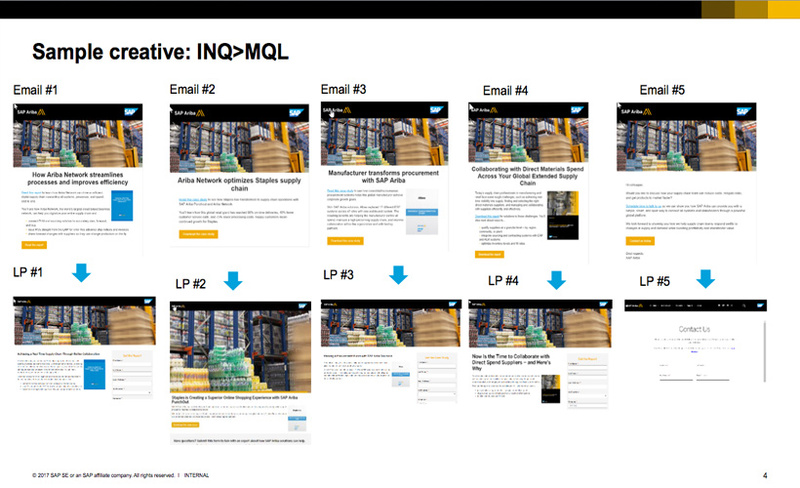 Designed in Marketo, each of the four nurture programs consisted of four streams that span the buyer’s journey, from net-new contact to inquiry and MQL to recycle. 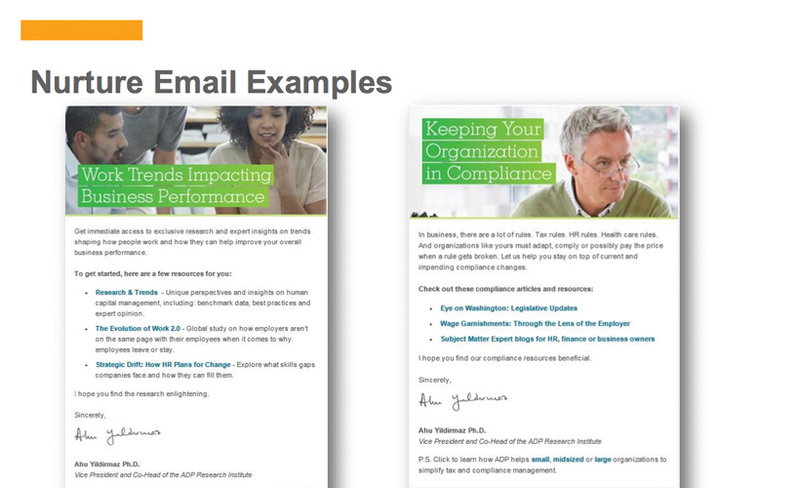 SAP Ariba tapped DemandGen to develop the strategy and framework for the programs, and facilitate multiple content mapping exercises to ensure each email was mapped appropriately. 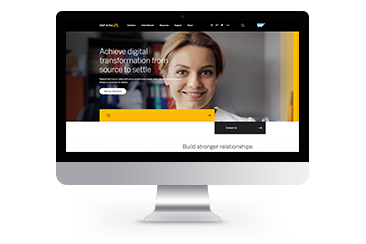 The SAP Ariba Demand Center then worked with copywriters to write each of the 80 emails and landing pages as concisely as possible and use non-promotional language to emphasize the “thought leadership” quality of the content offers. As a result, the click-to-open rates of these emails were 454% higher than traditional batch-and-blast emails. Program campaigns to dynamically route all contacts into nurtures per their segmentation and lifecycle status, and develop reporting to continually optimize your programs. 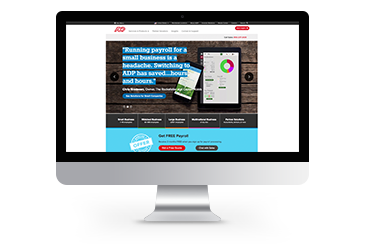 ADP has developed a flagship Research Nurture Program to identify potential buyers, and convert readers into sales opportunities and wins. 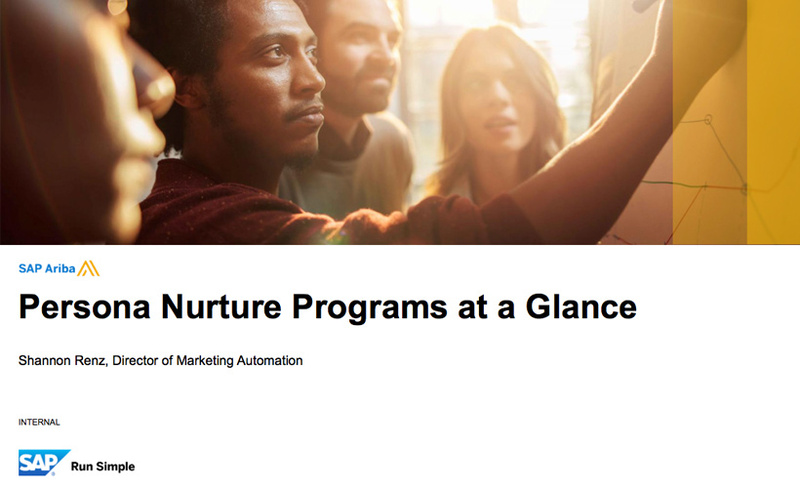 In the last 12 months, the engagement in the nurture program has generated thousands of influenced sales opportunities with millions of dollars forecasted in total opportunity pipeline. The Research Nurture Program leverages website analytics and marketing automation to identify key buyer personas through scoring website behavior. Once identified as a potential buyer persona, the program dynamically customizes content to target the buyer with personalized messaging that connects the research topic to a matching ADP solution. 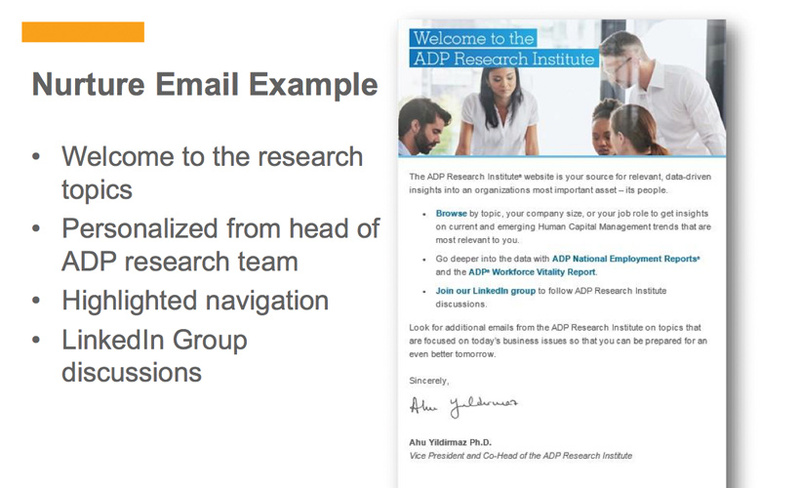 ADP then uses marketing automation to send a sequence of email content and allows the reader to self-navigate and binge through the entire content series at their discretion. All digital activity is scored and buyers that meet a threshold are sent to a sales development rep who can share additional content on the research topic. Finally, the automated nurture program connects to an ongoing monthly reader subscription for longer-term engagement. Combine the power of technology and the human touch to forge stronger relationships with buyers and reaffirm the value of thought leadership content. 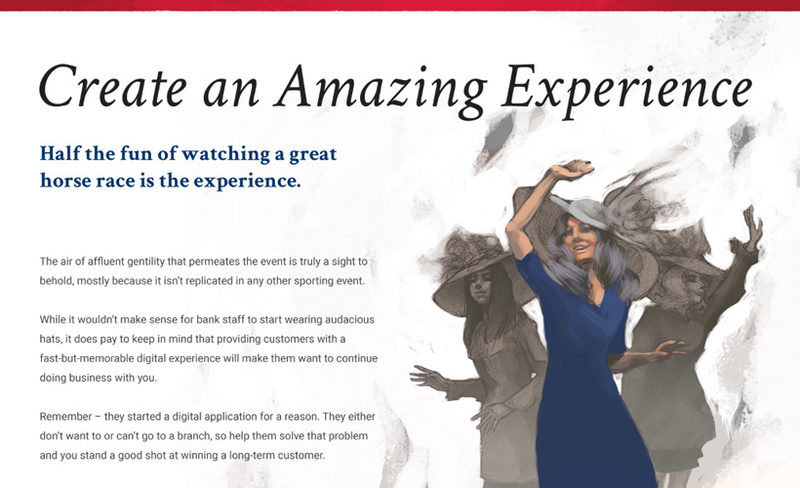 Bottomline Technologies breathed new life into its quarterly awareness email campaigns by introducing themes that aligned with popular cultural events. By making subtle tweaks, the company was also able to create relevant messaging for different lines of business. 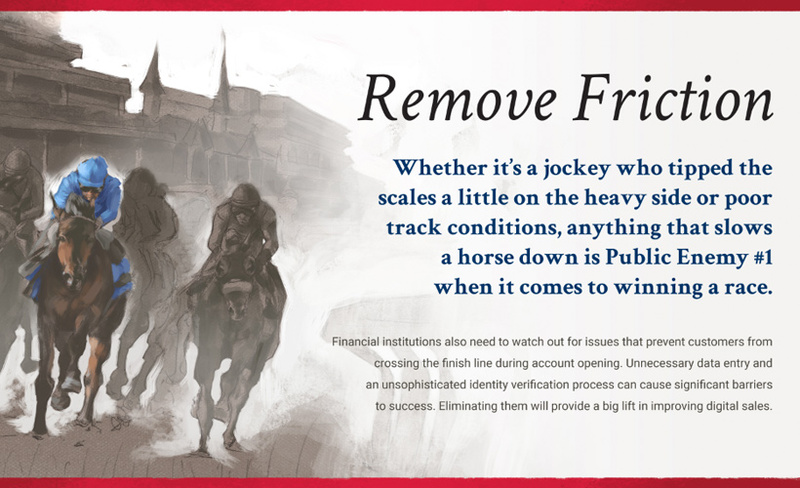 For example, timed to launch during “Triple Crown season,” the corporate version horse-race themed campaign featured an infographic asset titled Winning the Race to Paperless Payables, which was sent to targeted Strategic Finance, Accounts Payable, and Controller contacts. 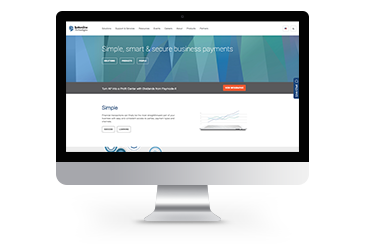 At the end of the piece, visitors were connected to a white paper, titled: A 4-Step Roadmap to Paperless Payables in 2018. 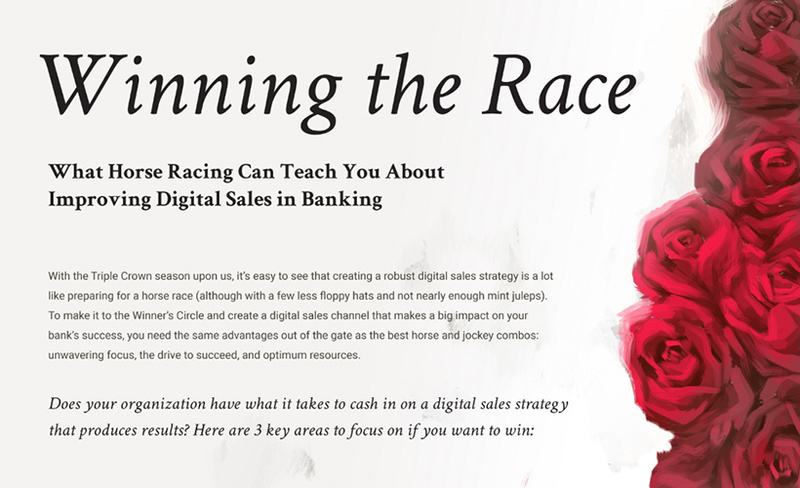 Conversely, the banking version email featured an infographic titled What Horse Racing Can Teach You About Improving Digital Sales in Banking, which then promoted a follow-up checklist for banking prospects. Within the first 24 hours, Bottomline garnered nearly 1,000 downloads of the featured infographic — 62% of responders being net new contacts. Look for quick and easy ways to tailor nurture emails and content in order to drive down costs and overall cost-per-lead.